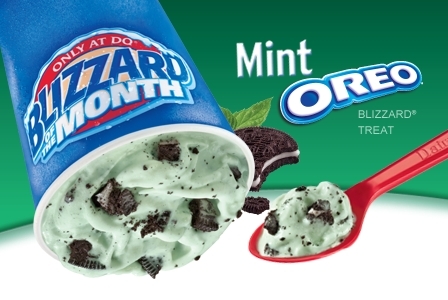 The Mint Oreo Blizzard is back at Dairy Queen in case you're looking for something a little green for St. Patrick's Day. The seasonal flavor features Oreo cookies and creme de menthe mint topping blended into vanilla soft serve. Also for a limited time, the chain has brought back the $4.99 Chicken Strip Basket at participating locations. The combo deal includes four crispy-fried chicken breast tenderloins, fries, and toast.